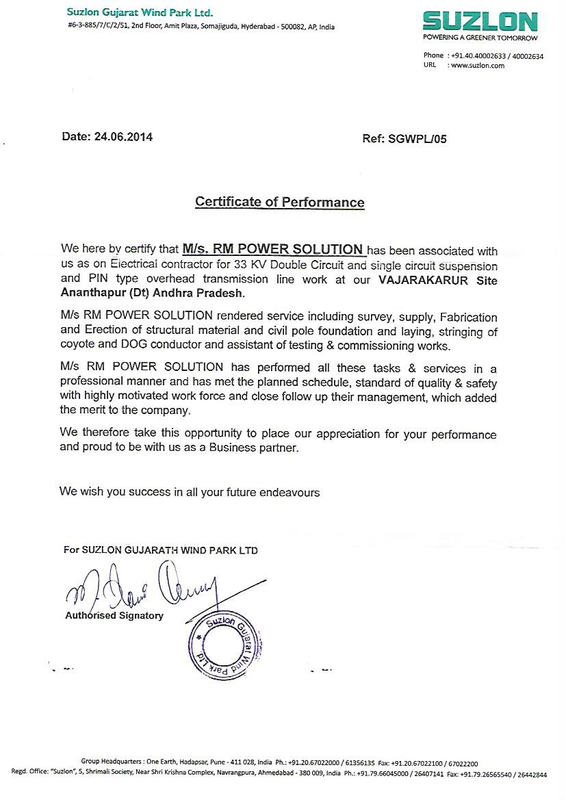 We RM Power Solution (RMPS) are highly expertise in the field of Wind Energy and Solar. 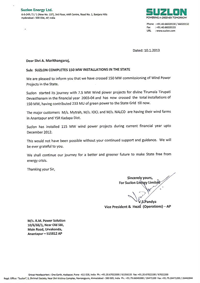 We executed WindFarm and Solar Projects associated works such as over head transmission lines, DP`s, Transformer erection including civil foundation as per the specific needs of the clients up to 11KV - 132KV. 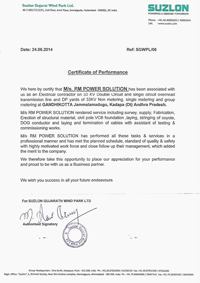 We undertake annual operation and maintenance contracts for overhead line and related associated works. 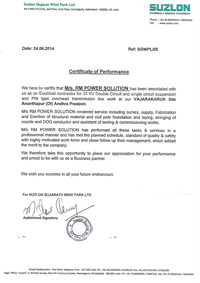 We are executed more than 1650 KMs overhead transmission lines up to 11KV - 132KV. 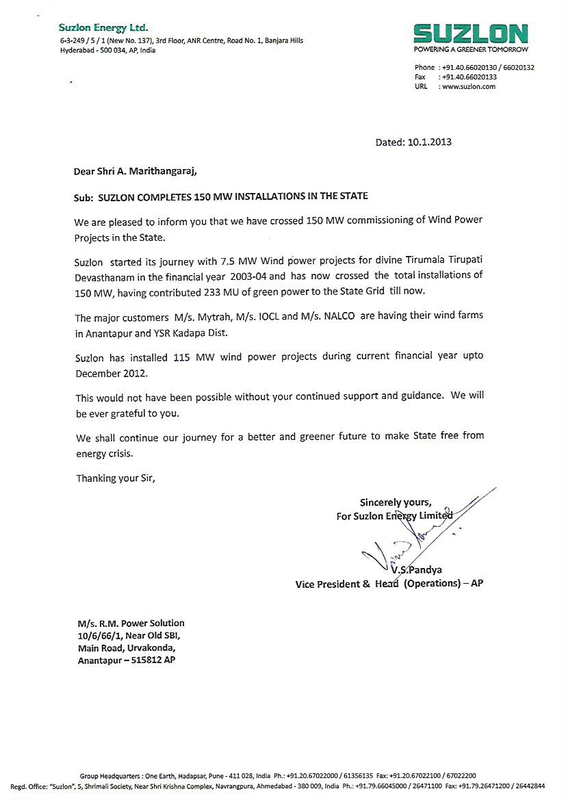 Winform (SUZLON, GAMESA, VESTAS, REGEN POWER, NEPC, Wind World India). 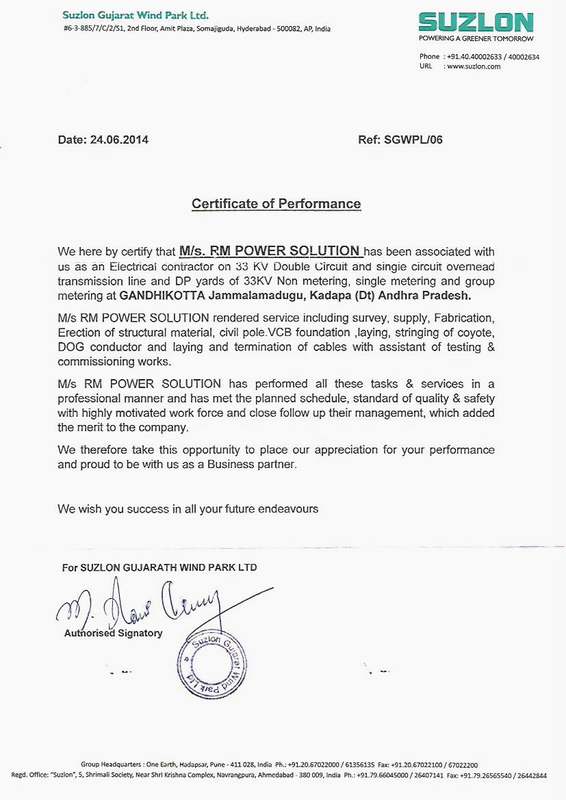 © Copyright RM Power Solutions. All Rights Reserved. Design by Adhava Solutions.